The father of JYJ’s Micky Yoochun has passed away. Park Yoochun arrived at Incheon Internation Airport on the afternoon of March 14th, 2012 together with Kim Jaejoong and Kim Junsu. The younger brother of Park Yoochun, Park Yuhwan received the bad news when filming the TV series The Strongest K-POP Survival, and the shooting was canceled. 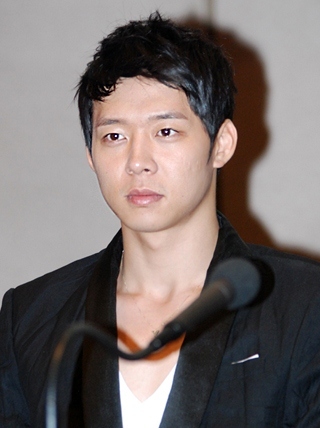 As because of the death of his father, the shooting of Micky Yoochun in SBS TV series Rooftop Prince becomes difficult, and has been halted at least temporarily. However, as many scenes of Park Yoochun has been shot before the start of South America world tour, thus the episode 1 and 2 have been completed, and does not affect the debut of the drama. However, the schedule of shooting for the drama will inevitable have to adjusted, according official related to SBS.